Not so far from Hyderabad, the Telangana region boasts of many ancient and popular temples. 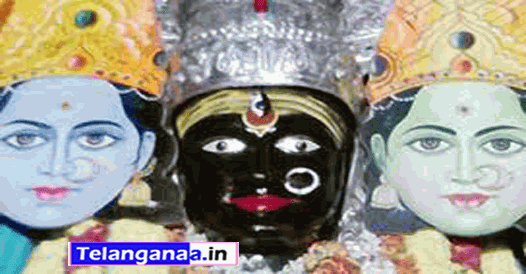 One such temple is the 800-year old Sapta Prakaryuta bhavani Temple at Ismailkhanpet, Medak. The temple was renovated by Swamy Madanaananda Saraswathi, the spiritual Head of Basava Kalyana Peetham based in Karnataka. The temple comes under the control of Sri Sringeri Jagadguru Mahasansthan, Dakshinaamnaaya Sarada Peetham. One cannot view the temple from outside as it is surrounded completely by the fort but it is easy to spot the gopuram from outside. The temple's speciality is that deity is made of a single stone with a majestic height of 15 feet and it is said that this is second biggest idol of Durga maatha in the world. Sapta Prakaryuta bhavani temple is situated at a distance of 52 kms from Hyderabad and from Medak you can reach by road at a distance of 62 kms. Sapta Prakaryuta bhavani temple is situated at a distance of nearly 52 kms from Hyderabad and from Medak tourists can reach by road at a distance of close to 62 kms. Medak town is the right option for quality accommodation.